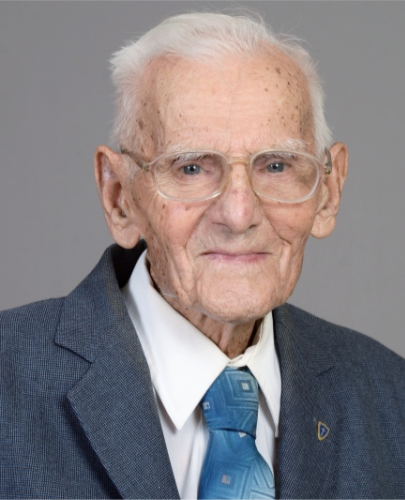 Vaughn Elden York, 96, of Staley, died Monday, April 15, 2019 at Randolph Hospice House in Asheboro. Funeral Services, 2:00 PM, Thursday, April 18, 2019, at Shady Grove Baptist Church, Staley. Vaughn was a native of Randolph County, a graduate of Ramseur High School, a farmer and a member of Shady Grove Baptist Church. He was preceded in death by his parents, George Michael and Lou Velia Routh York and his brothers and sisters. Survivors: wife of 71 years, Goldie Stinson York, of the home, daughter, Cathy York Morrison, and husband Mark, of Charlotte, sons, Ted E. York, and wife, Frances, of Toccoa, GA, Chris S. York, of Staley, grandchildren, Ben York, Amber Pinney, Rebecca Morrison, Matthew Morrison, great-grandchildren, Natalie Pinney, Elijah Pinney, Sebastian York, Matteus York. Visitation, 7:00 PM to 9:00 PM, Wednesday, Loflin Funeral Home & Cremation Service, Ramseur. Memorials may be made to Shady Grove Baptist Church, 6853 Old Staley Rd., Staley, NC 27355.